Sawamura Soushi is a soldier in a war-torn future. He meets a cute, innocent young girl named Nadeko, with whom he starts up a friendship. Nadeko is a flower girl, one of the girls who has a flower growing from her heart. One day, when Sawamura is trying to protect her from danger, she confesses her love to him and protects him with the plant growth that suddenly comes forth from her body. Sawamura soon learns that there is a special squad of flower girls and their partners, and that their abilities are awakened when they fall in love. But does he really love a girl that is a decade his junior, and will he be willing to be a good partner for her? What's more, he learns that the awakening also starts the growing of the flowers in their bodies, so that the flower girl soldiers have only a short while longer to live. How can Sawamura and Nadeko make the best of such a terrible situation? On one normal day coming home from school, Bonta finds a cute maid waiting for him at his apartment, or so he thought. Turns out, she's actually a highly trained bodyguard sent in by his parent's family. Even though she's a bodyguard, she really wants to be a maid, so she stole the outfit of the actual maid that was supposed to join her in protecting/serving Bonta. Bonta now has the privilege/task of living with these two girls in a comedic triangular relationship. Zenki is protecting his village when two girls, Shizuku and Yoshitsune, come along to ask him to come track down and kill the "god-eater." Shizuku and Yoshitsune both have their own skills, but they're looking for a capable fighter to join them. Zenki ends up going with them, and they encounter more allies and enemies on their way. 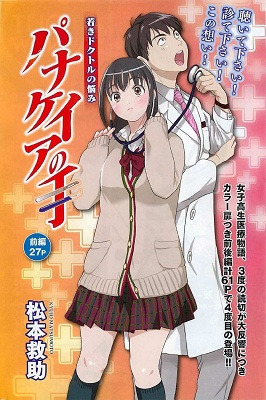 26-year-old Tamiya Seiji is a doctor-in-training whose residency is not going all that well. One day, he meets a teenage girl named Ikumi, who dreams of being a bread baker. They begin to meet regularly, for him to taste-test her new breads. However, Ikumi has a secret. She is a child genius, who became a famously skilled surgeon in America. She vanished from the medical scene, moving back to Japan to become a high school student and bake bread. At this point in both of their lives, meeting one another might be the best thing that could have happened. On a beautiful island, a little girl named Takeru meets the mysterious brothers Tesla and Marin who have the ability to fly. These brothers have been called many names by the locals of the island, including "The White Witch," monsters, and demons, but more scientifically, they have been named "Utility." To uncover the mysteries of their powers, the older brother Tesla has employed the help of the local researcher who happens to be Takeru's mother. As Takeru and Marin become closer friends, the uncovering of the mysteries of the "Utility" create an epic story of romance and destruction on this once peaceful island. I think Kalyx was my favorite this week. It's such a tragic story, and I can't imagine how it could end well, but the main characters have a very interesting relationship. Panakeia Hand (I'm pretty sure they meant panacea) was also a pretty cute story. It was not extremely original, but the relationship between the two main characters made it interesting. Onigiri seemed like a very standard battle manga. Out of all the series, Kalyx probably interested me the most. I'm sure there'll be some drama and tears in how the romance will develop between the flower girl and the main character and how they'll deal with her living a shortened life span. Romance readers will probably want to check this one out. 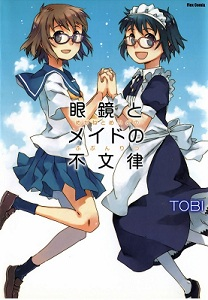 Megane to Maid no Fubunritsu is a must-read for those that are into maids and action. The added benefit is that it's only one volume long. 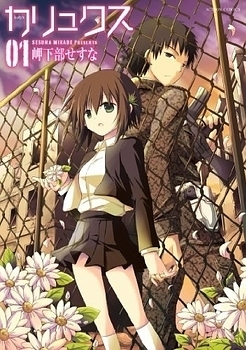 If you want an action adventure series, then Onigiri will be the manga for you. I'm curious about Panakeia Hand and how the high school genius surgeon will interact with a Japanese doctor and how she'll reveal that she's also a surgeon who's probably better than the guy. Well, it's only 5 chapters long, so maybe someone will pick it up. 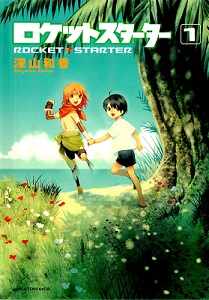 Rocket Starter probably is probably the second most interesting sounding to me because of the mystery behind why those two have the power to fly. 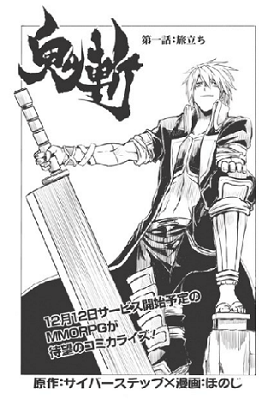 Well, if you want a mystery with some action, then this manga is for you.